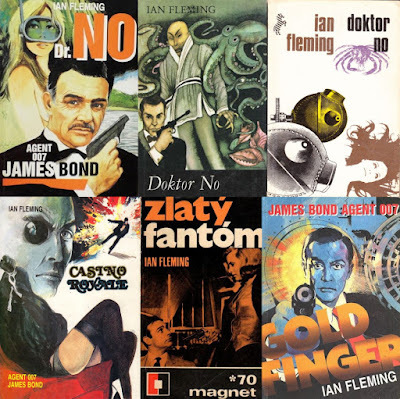 Here are several unique James Bond covers from the Czech Republic sent over by Bond collector Lukáš Berný from Prague. The first block of covers are from 1968-1992. While the use of Sean Connery is obvious, the eagle-eyed among you might also spot Timothy Dalton in the artwork. 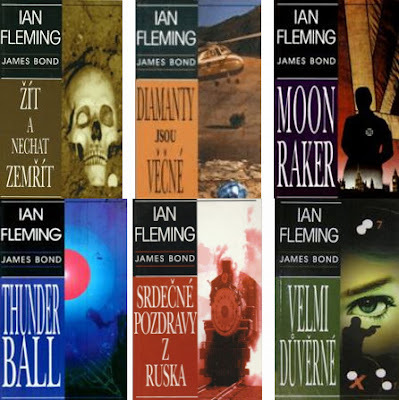 Below is a newer series which, according to Lukáš, are now quite rare in his country. These were released by Delfin between 1997-2002. The publisher released the six Fleming titles picture here: Live And Let Die, Diamonds Are Forever, Moonraker, Thunderball, From Russia With Love and For Your Eyes Only.